Editor’s Note: Bill Morgan, the author of The Civil War Lover’s Guide to New York City (published by Savas Beatie), was kind enough to offer up his list of the top 5 most overlooked Civil War sites in the Big Apple as a series of guest posts here at TOCWOC – A Civil War Blog. Bill’s introduction will be followed by one overlooked NYC site per week, every Monday for the next five Mondays. 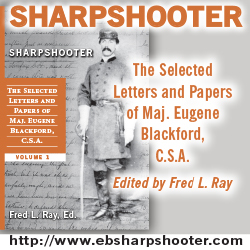 Join Bill here at TOCWOC – A Civil War Blog, as he counts down his list. Hudson Road, Staten Island. 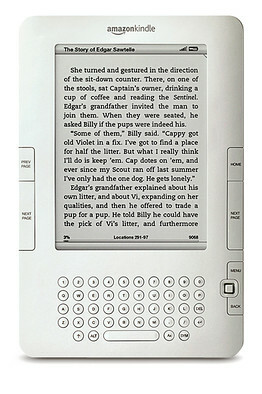 Hours: W–Sun 10:00 a.m. – 4:30 p.m. 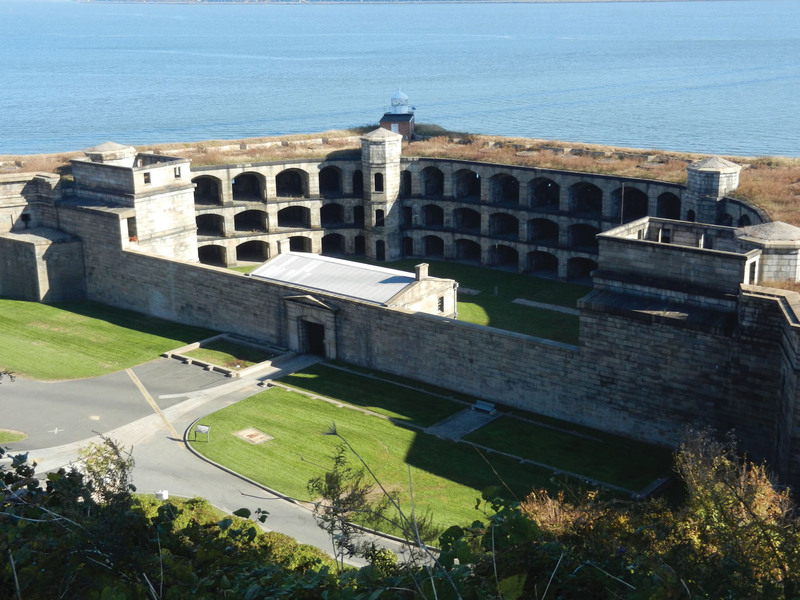 Battery Weed is now part of the Fort Wadsworth Military Reservation and is open to the public as a museum. It was built between 1849 and 1861 as Fort Richmond to guard the Narrows, the gateway to New York Harbor from the Atlantic Ocean. It is located strategically across from Fort Hamilton, which is on the Brooklyn side of the channel. Like Fort Totten, it was designed by Gen. Joseph G. Totten (1788–1864) and later named for Gen. Stephen Weed (1831–1863), who had been killed at the battle of Gettysburg. The fort is in the shape of a trapezoid, with three tiers of guns housed under open arches. During the Civil War, it boasted approximately 116 guns, making it the strongest fortification along the Atlantic coast. Fort Tompkins was built between 1861 and 1870 and stands on the crest of the hill above Battery Weed. It was finished too late to see much Civil War activity, and was used primarily as a barracks for Battery Weed. 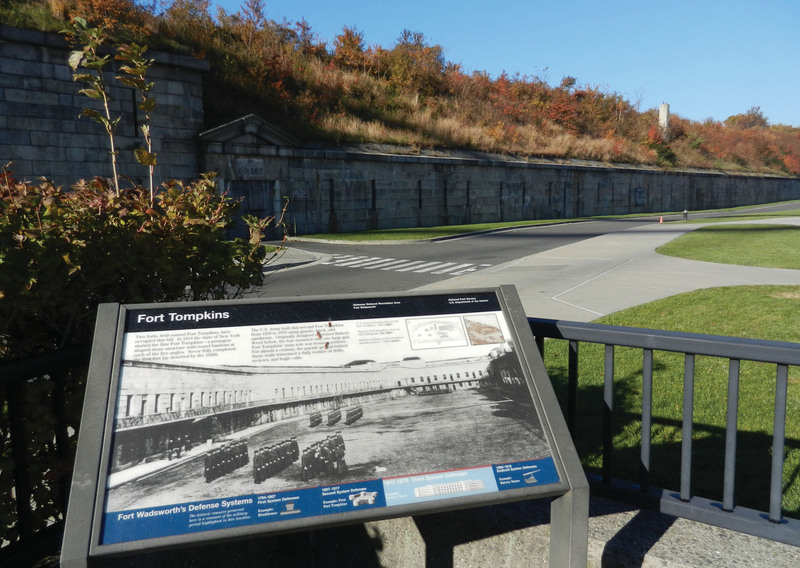 Both Battery Weed and Fort Tompkins are good examples of the type of heavy granite masonry fortifications that were rendered useless by the new rifled cannon developed during the Civil War era. Fort Wadsworth, beneath the bridge at Bay Street and Wadsworth Avenue, has the distinction of being the oldest continually staffed military reservation in America, having first been used for military purposes in 1663. In 1865, it was renamed in honor of Brevet Maj. Gen. James Samuel Wadsworth (1807–1864), who had been killed during the battle of the Wilderness the previous year. Thanks for this post, Bill Morgan, and A Civil War Blog for providing a platform to continue this discussion. Battery Weed, Fort Tompkins, and Fort Wadsworth are all important to Civil War history, yet many do not know of the historical significance they hold.